"The first lesson is that you can't lose a war if you have command of the air, and you can't win a war if you haven't." 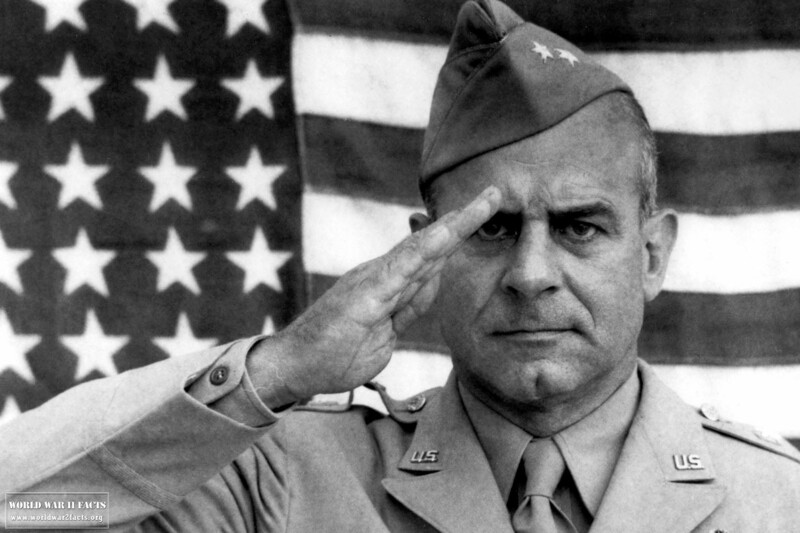 Jimmy Doolittle was born on 14th December, 1896. During his stay in Nome, Alaska he developed a reputation as a boxer and eventually became a amateur flyweight champion. He attended Los Angeles City College and later transferred to the University of California and then Berkeley in 1916. When the United States entered the First World War, Doolittle decided to leave school and enlist in the army. He became a Signal Corps reserve in 1917. He married Josephine Daniels on December 24 while training at the School of Military Aeronautics and took part in one of the most famous raids that occurred in World War 2. Doolittle in a pre-World War II photo. Border Patrol at the Mexico border. 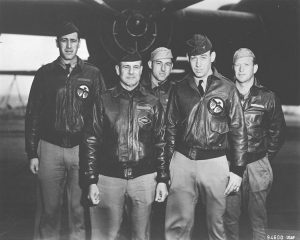 When the war came to an end Doolittle was given a regular army commission. 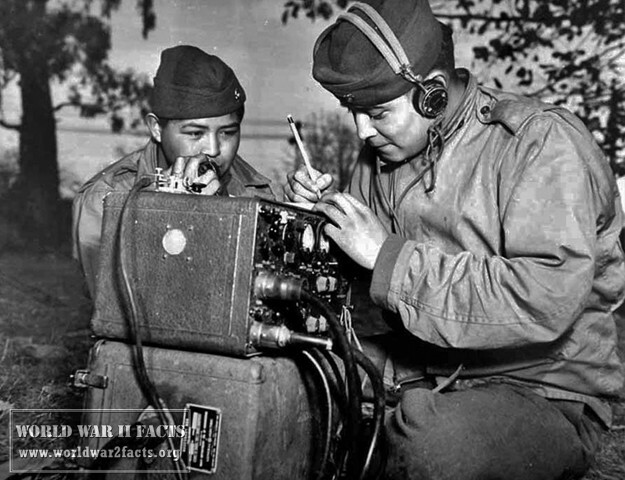 He was promoted to first lieutenant in 1920 and attended the Air Service Mechanical School. 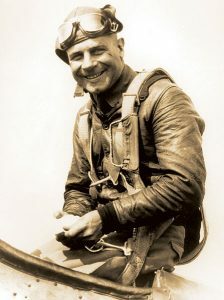 Jimmy Doolittle later returned to Berkley to complete his courses and get his undergraduate degree. He became famous when he flew a plane with early navigational instruments across the country from Florida to California. For this he received the Distinguished Flying Cross. He was then assigned to McCook Field to serve as a test pilot and aeronautical engineer. In 1923 he began working on his Master’s degree at MIT. Doolittle was given 2 years by the Army to complete his degree, at the same time he started doing aircraft acceleration tests at McCook. This would be the basis for his thesis which would earn him another Distinguished Flying Cross. He finished the degree a year early and started working on his doctorate. He received the doctorate in 1925, he won the Schneider Cup race in the same year. Despite an injury he got in 1926 he remained an aviation innovator. Doolittle would also become a pioneer in instrument flying and helped developing the directional and artificial horizon gyroscope. After the Japanese attack on Pearl Harbor and the United States entry into World War II, Doolittle got promoted to lieutenant colonel and was transferred to Headquarters Army Air Force to help in planning an attack on the Japanese. He volunteered to lead a raid, he wanted to use 16 B-25 Mitchell bombers launched form the aircraft carrier USS Hornet and to bomb the targets on the Japanese home islands. After the bombing he wanted the pilots to land in China. 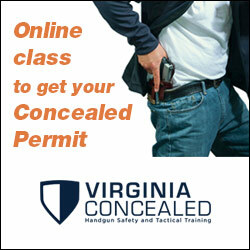 The plan was approved by General Henry Arnold and Doolittle began training his volunteer crews. Despite their secret approach the bombers were spotted by the Japanese on 18th April, 1942. 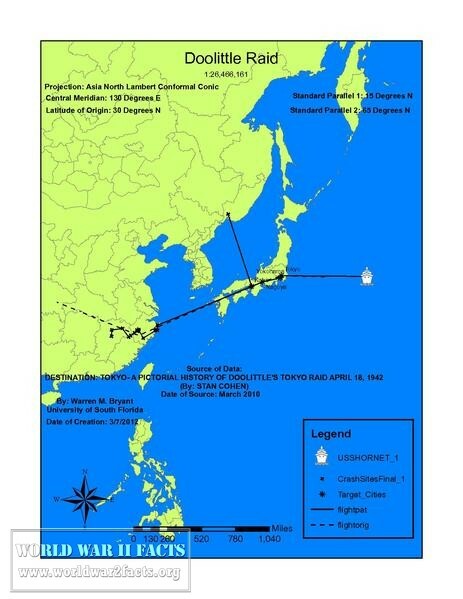 As soon as that happened, and despite being 170 miles (around 270 kilometers) away from their desired launch point, Doolittle ordered for the operation to begin. The task force successfully hit their targets in Japan and went ahead to land in China but weren't able to reach their desired landing sites. 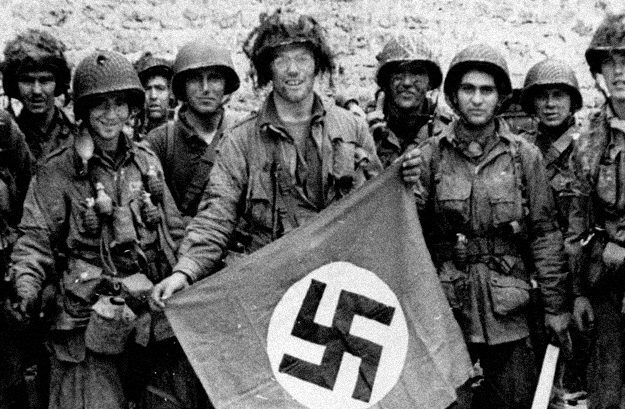 Even though the attack didn't cause much material damage it was a huge boost to the morale of the Allied forces. Doolittle's attack forced the Japanese to move more forces back to their home islands for protection. Detailed map portraying the bombing and crash sites of the Doolittle Raiders. operations against the German air force the Luftwaffe. One of the bigger changes he made was to allow the bomber escorts to leave their formations and attack German airfields themselves. This helped in preventing the German fighters from getting in the air and allowed the Allies to gain air superiority. 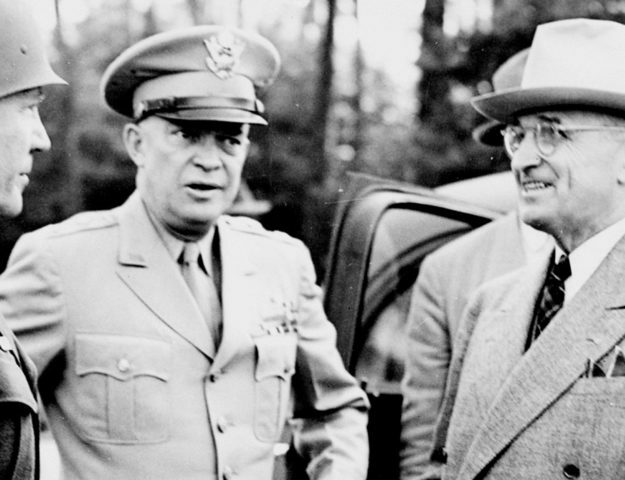 He led the Eight Air Force until September 1945. After World War 2, Jimmy Doolittle returned to Shell Oil becoming a vice president and director. After the war ended he got a reserve status in the air force and in that role he was a special assistant to the chief of staff of the Air Force. He completely retired from the military in 1959 and served as the Space Technology Laboratories' chairman of the board. He got a final honor on April 4th, 1985 when President Roland Reagan promoted him to a four star general on the retired list. Jimmy Doolittle died on September 27th, 1993, he was buried at Arlington National Cemetery.